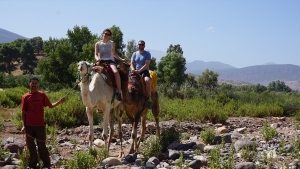 Kasbah Angour can organise transport taking you to a very scenic river-side location approx. 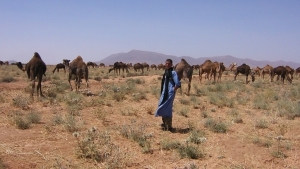 15 minutes drive away where there are camel and horse rides. You should be aware that riding hats are not always provided. 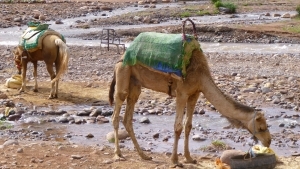 A 30 minute camel ride currently costs 100 DH. 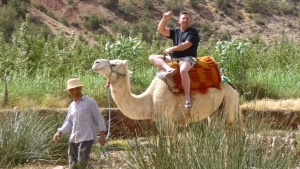 Please enquire about transport prices. 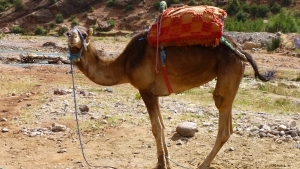 A camel ride can also be combined with the Half Day Car Excursion to Sidi Fares. 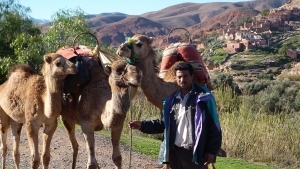 Kasbah Angour organises camel and horse rides at a very scenic river-side location approx. 15 mins drive away. 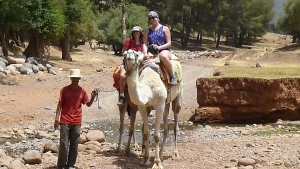 You should be aware that riding hats are not always provided. Please enquire about prices. 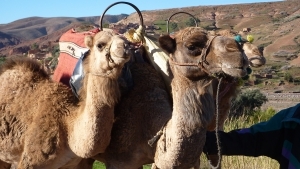 A 30 minute camel ride can also be combined with the Half Day Car Excursion to Sidi Fares for a supplement of 100 dirhams per person.